I was just listening to the radio this morning, it was a piece about how much food we waste every single say. 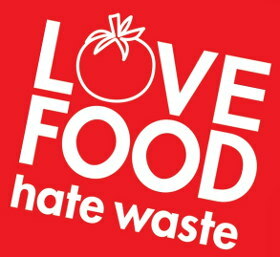 Not just food we don’t use before the expiry date, but also food that the supermarkets fail to sell in time and throw out. We even waste food by making too much, saving the leftovers and then end up throwing it out later instead. It’s such a terrible waste on so many levels. That food has been grown using labour, fossil fuels and agricultural chemicals. Then picked, processed and shipped using more labour and fossil fuels. Then probably packaged and shipped again using yet more labour, fossil fuels and chemicals. Before we buy it and use even more resources transporting it home. To then throw it in the bin is pretty awful, especially when you consider it takes even more resources to bag and then transport that waste away again and dispose of it! The answer comes in a few different forms. Firstly, the best thing you can do to avoid all of this waste is to become a ‘better’ home cook. By that I mean expanding your cooking skills so you’re not phased by a piece of less than perfect brocolli sat in your fridge. Take your cooking skills to the point where you can look in the fridge and create a meal based on what is there instead of looking in a book for a meal and then going shopping for the ingredients. Use recipe books as inspiration. It doesn’t happen overnight, but the more you create meals from scratch rather than buy ‘ready-made’ meals or jar sauces etc, the more you create the confidence and bank of recipes and methods to just create from what you have. If you also buy whole foods (especially in bulk) and raw produce not only do you minimise on things like packaging but you can also do wonders for your health. Why buy ‘special’ porridge in a bag that’s in a box that includes ‘flavorings’ or even sachets (more packaging!) of flavorings, when you can buy a bag of rolled oats for a tiny fraction of the price (it’s the same thing!) and simply add a spoon of natural honey, a sprinkle of real cinnamon or grate an apple into it. Worst case, sometimes you miss something or just don’t get to use it. That should get rarer but once in a while something will go off, and of course you do still have things like vegetable peelings and tea bags to throw out. Well so long as you have even the tiniest piece of garden you can avoid throwing them in the regular bin. Ideally you would compost them (or use them for homemade skincare!) and then use them to feed your outdoor plants or even to grow your own vegetables. But if you don’t want to do that, you can just bury food waste in the ground. This is what our grandparents used to do (they called it ‘trenching’)! It will still rot down and feed any plants whose roots find their way to it – and no mess or smells. You can even dig it up again later and use it that way. It’s a lot better than having a lorry drive it away again. © Paris Got The Nous. All rights reserved. Powered by WordPress.